Virtual reality is slowly gaining steam, and although gaming takes up the lion’s share of attention, many experts believe that areas like education will be powerful drivers for growth when it comes to VR. This is steadily becoming reality, according to Vassili Philippov, Founder and CEO of MEL Science. In an emailed conversation with Gadgets 360, Philippov talks about why he believes virtual reality is going to become extremely important in the education sector, and gave us an early look at the company’s Chemistry VR application, which releases on Tuesday. MEL Science is a London-based company that is building a technology-enabled approach to science education. 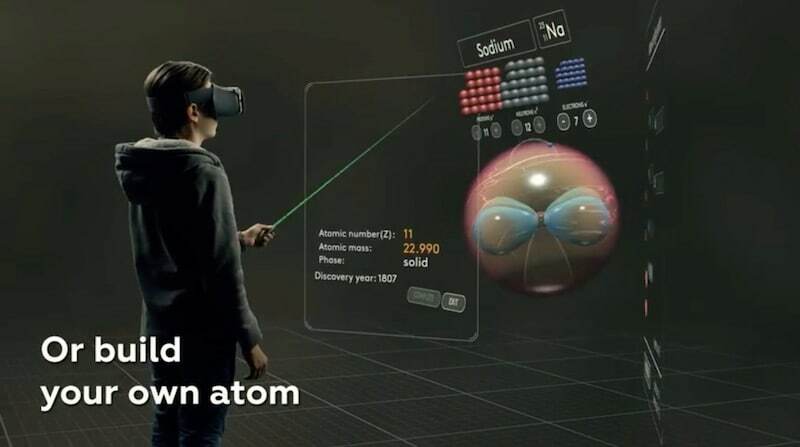 It’s using educational videos, virtual reality explanations for the underlying science, and combining that with hands-on experiments using real chemistry kits. 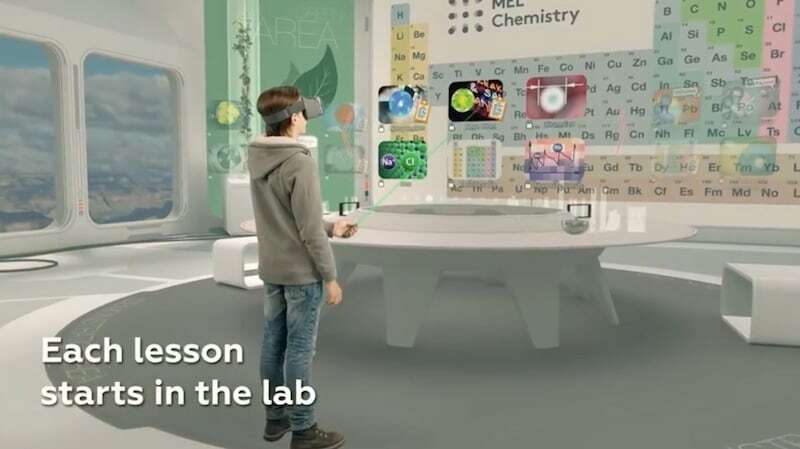 Philippov says that the new VR application is being released as a subscription service – with the first six VR classes free – and each month, consumers will get two new chemistry sets to do experiments with their kids at home, alongside the VR and video experiences. Philippov says the chemistry sets are important, because he does not believe that VR alone can replace a chemistry set. The idea behind the MEL VR application is that it becomes easier for children to understand basic concepts by enabling them to visualise things that happen at a micro level in a very interactive manner. The free lessons that MEL will be releasing cover atoms in solids, atoms in gases, atoms in structure, electron orbitals, and create your own atom. This will enable children to learn about the structure of the atom, and the differences between the elements. One of the challenges with virtual reality is that there are too many platforms out there, which is a problem for those developing new applications. In the high-end VR space, we’ve got three systems: the Playstation VR, which is a closed system that only works with the PS4; and the Oculus Rift and the HTC Vive, which are both powered by high-end PCs. Software for the latter two has some degree of interoperability, with a raft of caveats. Then there’s a whole range of mobile VR headsets as well – starting with Google Cardboard, the Samsung Gear VR developed wth Oculus, and most recently, Google’s Daydream. 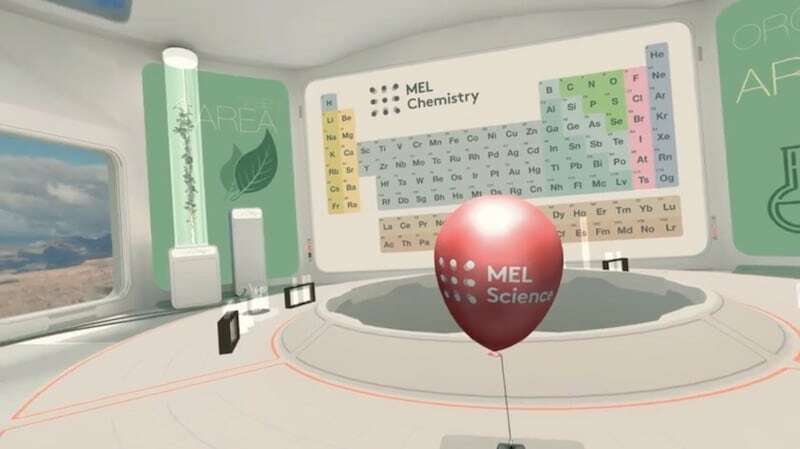 MEL Chemistry VR is being launched for Google Daydream – coincidentally, just one day after the Daydream Viewer headset was launched in India on Monday – which is supported on only a handful of phones. As of now, Daydream is limited to the Google Pixel, Pixel XL, and Moto Z, and it is coming to Samsung’s Galaxy S8 and Galaxy S8+ soon. On the other hand, you can use Cardboard with almost every phone, including Apple’s iPhone. However, Philippov writes that MEL Science wanted to focus on Daydream first because it offers much more functionality than its cheaper, and more widespread cousin, Cardboard. That said, the company will release a Cardboard build, and then a Gear VR build as well, he adds. “Gear VR is a great platform, although most schools use Cardboard as it is much cheaper,” he writes. On the other hand, Philippov is of the opinion that high-end PC VR setups are not likely to find much use in education, at least not at the school level. “We believe mobile based VR will be the way to go in schools,” he continues. A concern we raised is whether it would be safe to use a VR headset for extended periods, particularly for children whose bodies are still developing. Philippov admits that there’s no data yet on this space, but he points out that Google has already been using VR for education, with some success.